How about a trio of cute pandas for today? 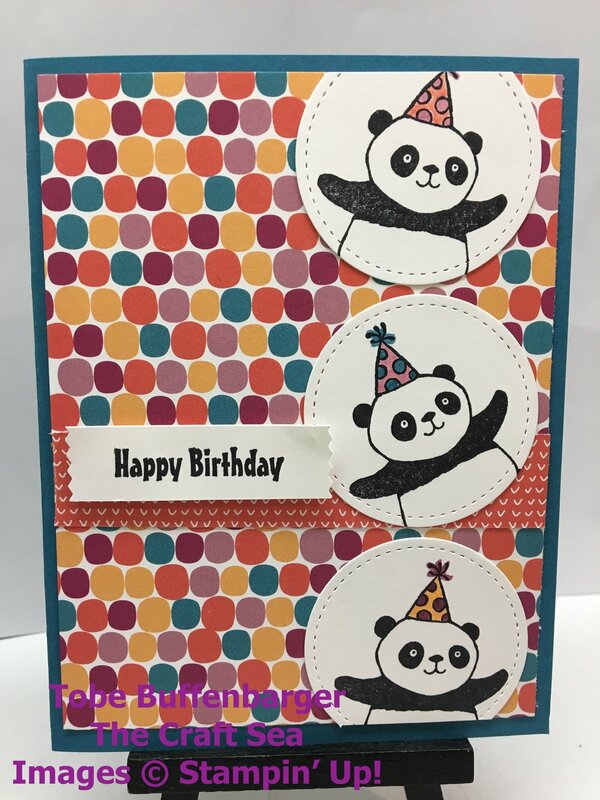 At first, I wasn't drawn to these pandas as my SAB pick, but then I saw all the amazing cards others made. I knew I had to get them. And since then, I have made some great cards. This one is simple, but striking. The pandas are framed by this piece fo fun DSP from the Tutti-Frutti pack. After adding the pandas on, I decided to leave off other embellishments to focus on the paper.